DUG Insight User ManualFrequently Asked QuestionsFrequently Asked Questions Sessions and ProjectsHow do I sync my session across offices? In our experience, many of our users work within teams across multiple offices, and it is vital to be able to sync project data and sessions between offices. For this purpose, we have created a feature in Data Manager specifically to copy project data and sessions to a new project or an existing project. For more information, see Copy Objects to Project. Open the Data Manager application from the DUG Insight Launcher. In the Copy Objects interface, create a new project. The new project will be the container for the items to be transferred. In these instructions, we will call it the "container project". To transfer items to the container, choose Push To and click Select items to copy. The following window will be displayed. Include your session in the Items to Copy section by double clicking, or selecting it and clicking Add. Be careful if you choose to include seismic data! The size of the transfer can get large very quickly. 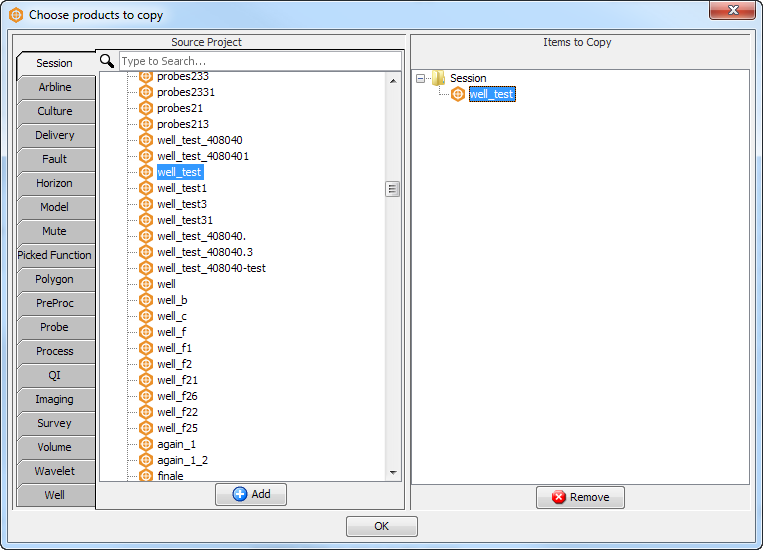 When you click Copy Items and complete the process, all the items in the session will be copied into the container project. Once the process is complete, the container project can be zipped, archived, or transferred directly using rsync (refer to your IT department for assistance). 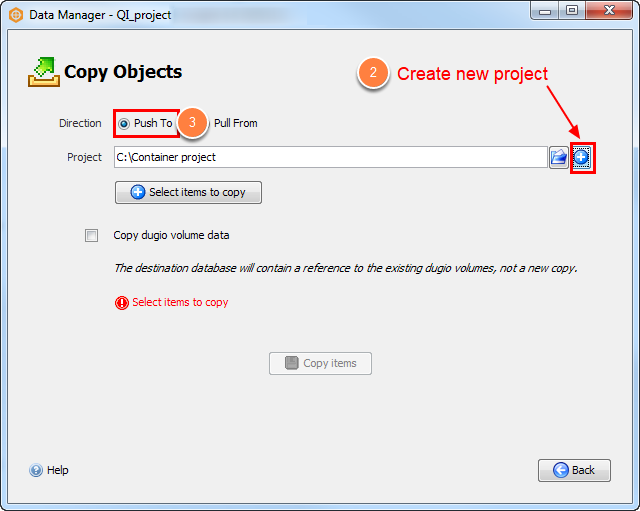 After transferring the session to the destination, have the destination project open, and use the same Copy Objects function. This time, choose Pull From to copy the session out of the container project. If the transfer is unsuccessful, or if you have any questions, please contact our support team at support@dugeo.com. Prev: What is the "archive" directory? Next: How do I create "fake" source and receiver headers from offset values?